Stefon is back! Well, sort of. 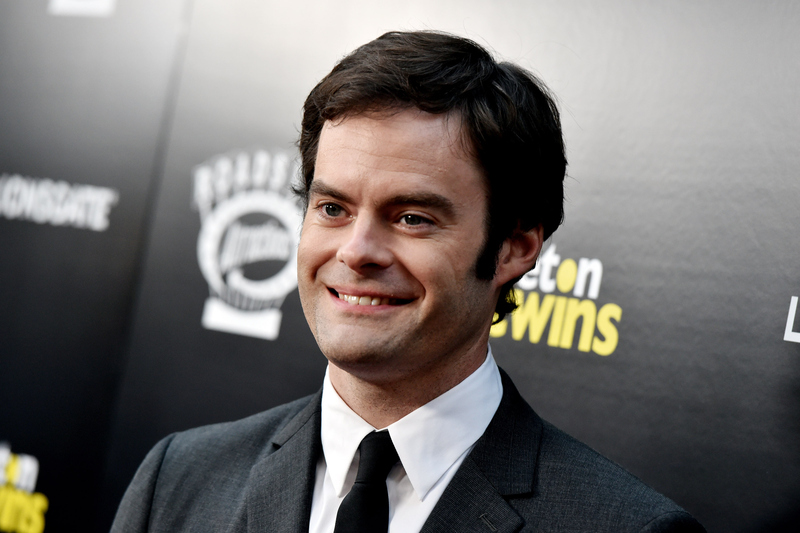 Bill Hader visited Late Night With Seth Meyers — and although Stefon didn't divulge any tips for residents of NYC, Hader and Meyers recounted their own memories from their days on Saturday Night Live, making for one of the best interviews on Late Night in a long time. Why is that exactly? It's not every day that someone sits down at at a late night television desk for an interview and actually has a genuine, real conversation with the respective show's host. These two, however, do — Meyers and Hader have a friendship that goes way back (Meyers even has a piece of Stefon memorabilia on his desk) and these two crack each other up. Further, this feels less like an interview and more like cameras snuck in on a mini-reunion. In fact, the two talk about just how emotional they got when Hader departed Saturday Night Live — there were tears. Don't believe me? Watch the video. And if mini-SNL reunions are your jam, then I highly recommend The Skeleton Twins , in which Hader stars alongside his former SNL co-star, the inimitable Kristen Wiig. It's further proof that if you put two hilarious SNL pals in one room, some seriously good stuff is gonna happen.